New research from the Centers for Disease Control and Prevention (CDC) suggests that the recent steep increase in cases of acute hepatitis C virus infection is associated with increases in opioid injection. The study examines data from CDC’s hepatitis surveillance system and from the Substance Abuse and Mental Health Services Administration’s (SAMHSA) national database that tracks admissions to substance use disorder treatment facilities in all 50 U.S. states. Across the nation, researchers found substantial, simultaneous increases in acute hepatitis C (133 percent) and admissions for opioid injection (93 percent) from 2004 to 2014. These increases were seen at not only the national level, but also when data were analyzed by state, by age, and by race and ethnicity. Taken together, the findings point to a close relationship between the two troubling trends. The new analysis, published Thursday in the American Journal of Public Health, builds upon earlier research identifying a similar regional trend in four Appalachian states that faced increasing rates of new hepatitis C virus infection. Hepatitis C is spread through infected blood, which can contain high levels of the virus in a single drop. This, combined with needle and injection equipment sharing behaviors among some people who inject drugs, is fueling infections among younger Americans. Rates of opioid injection—especially injection of prescription opioid pain relievers, as well as heroin—and acute hepatitis C virus infections increased most dramatically from 2004 to 2014 among younger Americans (ages 18-39). 600 percent increase in admissions for heroin injection. 77 percent increase in admissions for heroin injection. There were also sharp increases among whites and among women. Until recently, hepatitis C primarily affected older generations, but as the opioid crisis worsened, the virus gained a foothold among younger Americans. Most of the 3.5 million people in the United States already living with hepatitis C are baby boomers, born between 1945 and 1965, but the greatest increases in new infections are being seen in young people. And as infections increase among young women, so has the rate of hepatitis C among pregnant women—placing a new generation of Americans at risk. 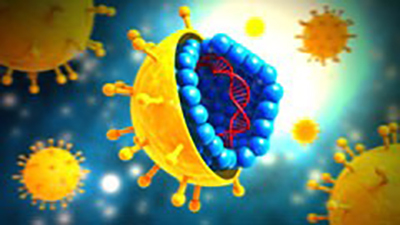 About 75 percent to 85 percent of newly infected people develop chronic hepatitis C virus infection. As there are few noticeable symptoms, many people are unaware of their infection until serious liver problems or other health complications arise. Hepatitis C is the leading cause of cirrhosis and liver cancer and the most common reason for liver transplantation in the United States. Support drug treatment and recovery services, including medication-assisted treatment, which can help people who inject drugs stop injecting – the primary risk behavior leading to new hepatitis C virus infection. Provide a range of testing, treatment and prevention services for hepatitis C and other infectious diseases, including hepatitis B and HIV. Track both the hepatitis C and opioid crises. Help states scale up effective programs and tailor prevention efforts to their local communities. Equip health care providers with the tools and guidance needed to make informed clinical decisions. Undertake research to identify and alert communities that are at particularly high risk for infectious disease outbreaks tied to injection drug use. Hep isn’t all, staph infection, vd….it is the worst time to be injecting drugs. What will happen is many will quit and many will perish faster, worse, as the insidious pathogen levels keep going up. Bugs in a room standing shoulder to shoulder for space, now expose needle and insert into blood stream. Pros and hospitals are already alert to increased risk of infection from injection and contamination of materials, while street users have never seemed more ignorant and “devil may care” about it.